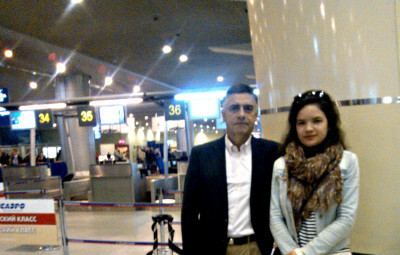 El Sr. José Anto­nio Tássies Penella. 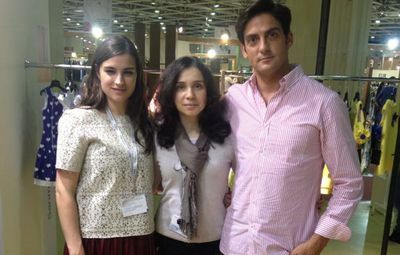 Ilustrador, autor y peri­odista. 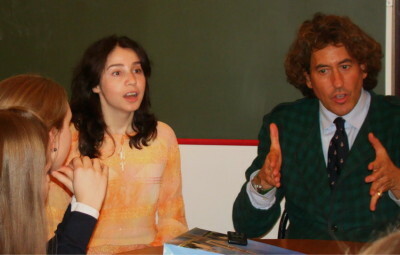 Pre­sentación del libro «Nom­bres roba­dos». 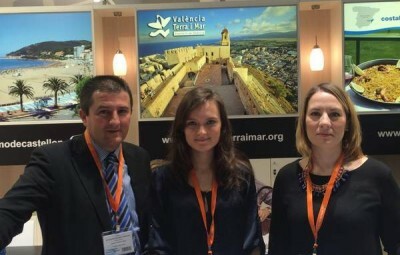 Libr­ería Bib­lio Globus. 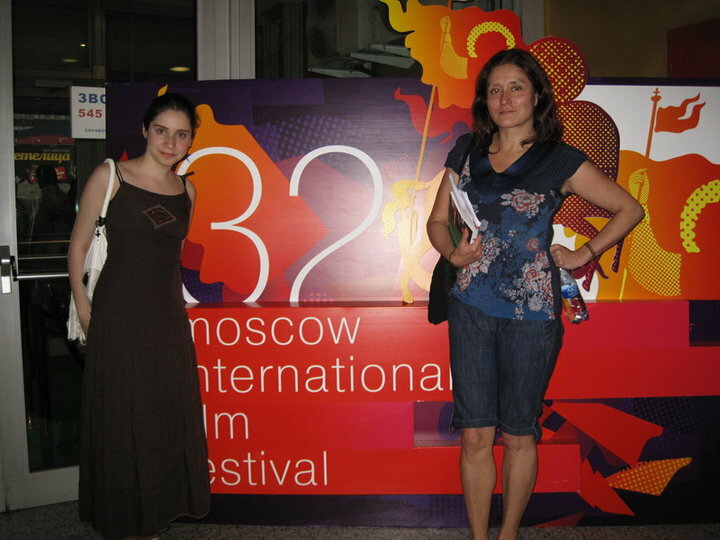 Moscú 2011. 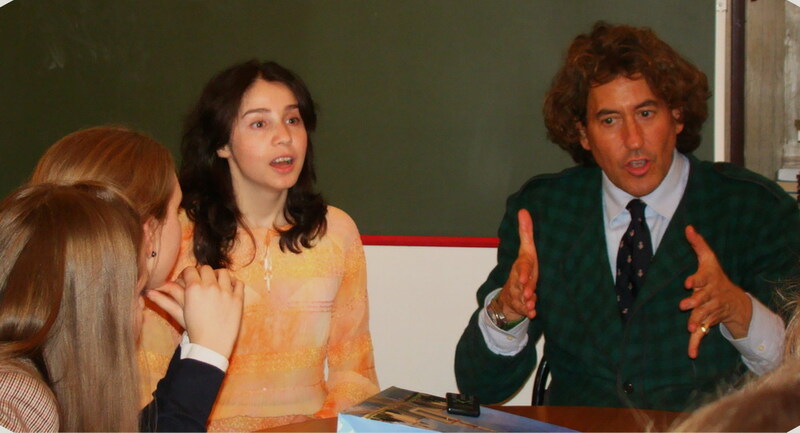 Mr. José Antonio Tássies Penella presenting his book «Stolen names» in Moscow. 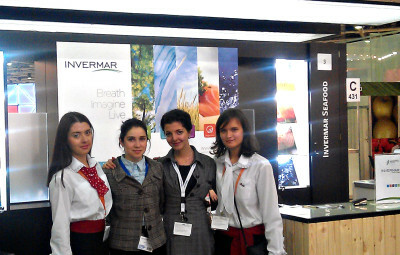 Interpreter — A. Ermanok. 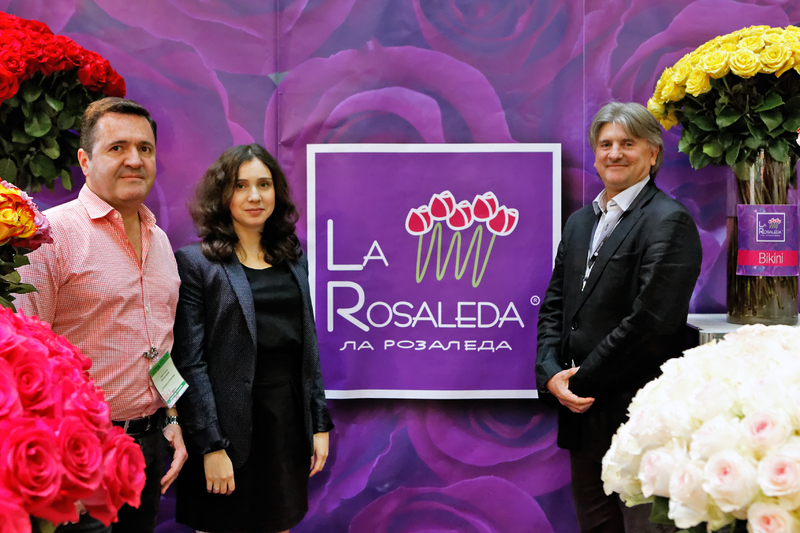 Juan Carlos Sanclemente, Alfredo Pallares (La Rosaleda) at the fair Flowers Expo. 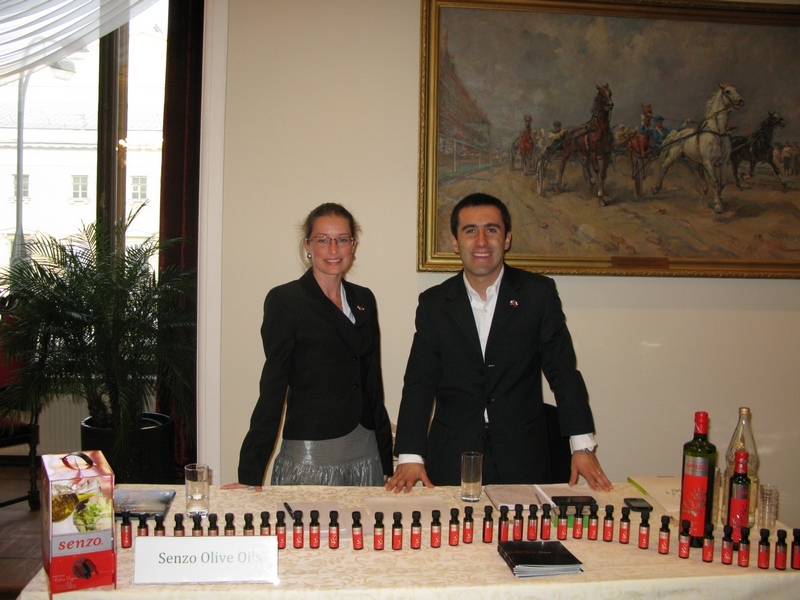 Interpreter – Anna Ermanok. 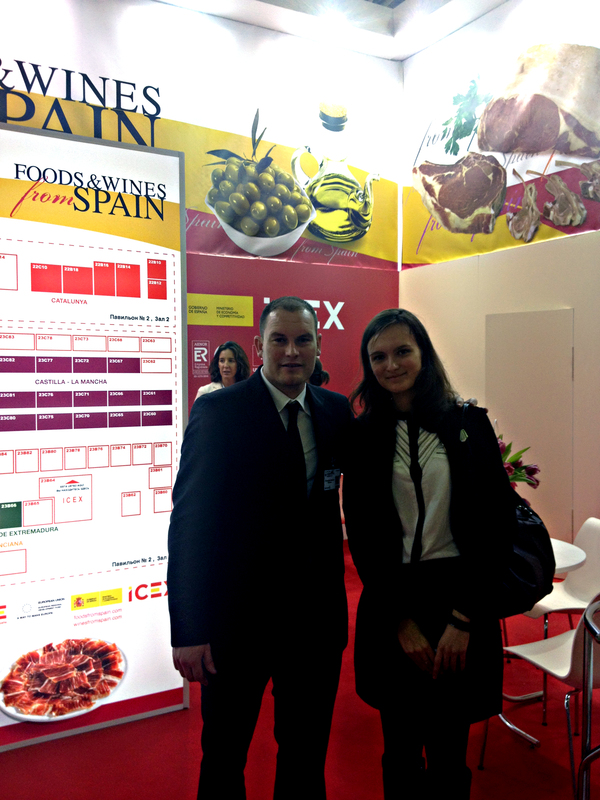 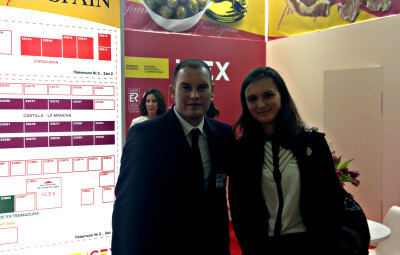 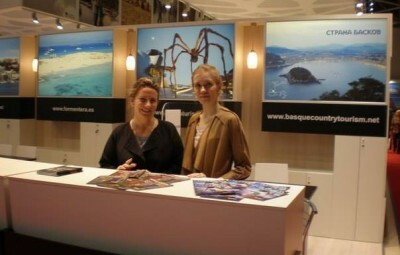 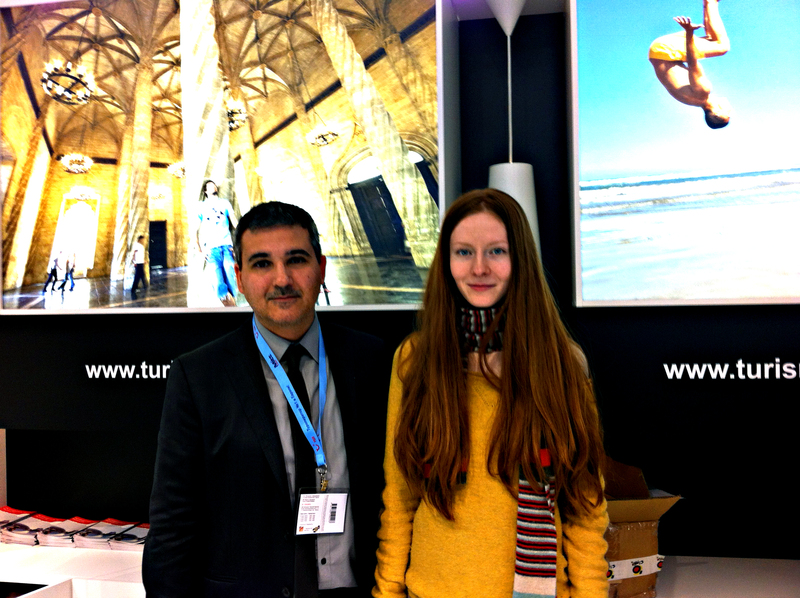 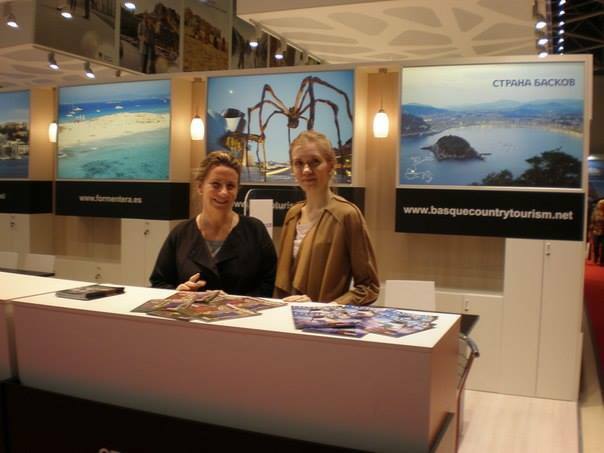 Spanish language interpreter in Moscow J. Akovantseva with A. Iodia (Basquetour) during MITT fair in Moscow. 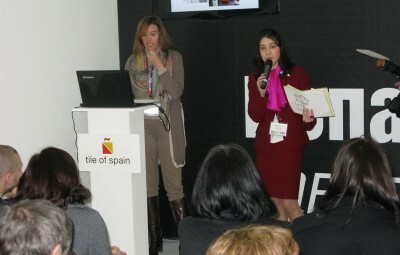 Spanish language interpreter in Moscow D. Custova during Chile vines Salon in Moscow (Tamaya presentation). 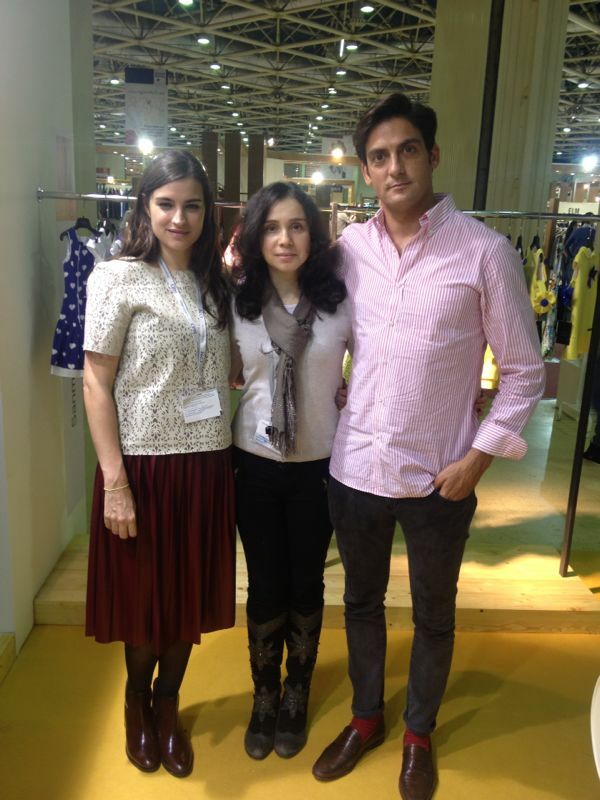 Jorge Díaz (Pavidiaz) after visiting fair Domotex. 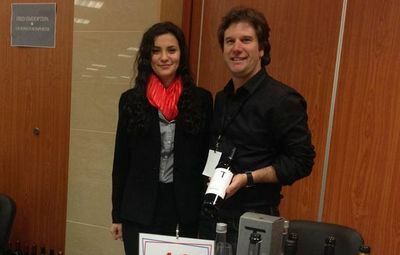 Interpreter- E. Mamina. 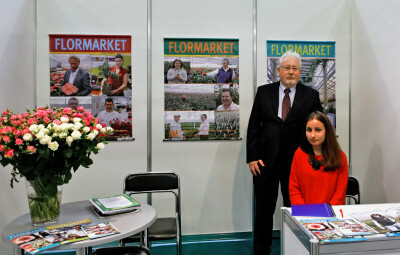 Carlos Gómez and Maryluz Naranjo (Naranjo Roses, Ecuador) during the Flower fair in Moscow. Interpreter – Margarita Sávchenkova. 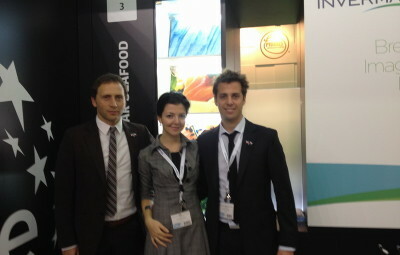 Bancohogar company during the Domexpo fair in Moscow. 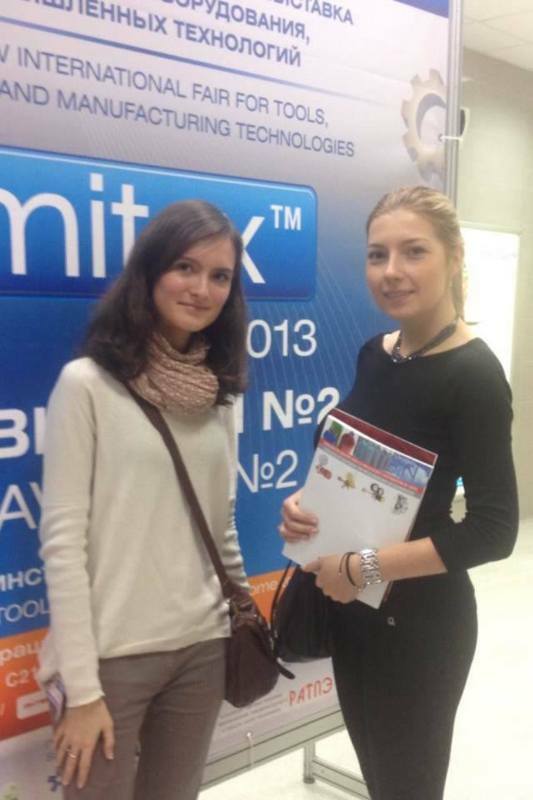 Interpreter – M. Savchenkova. 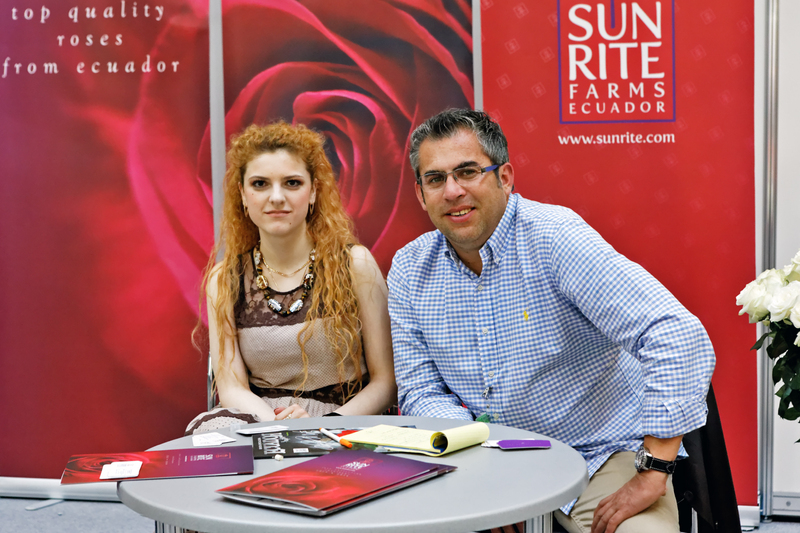 Marcelo Carrera (Sun Rite Farms) at the fair Flowers Expo. 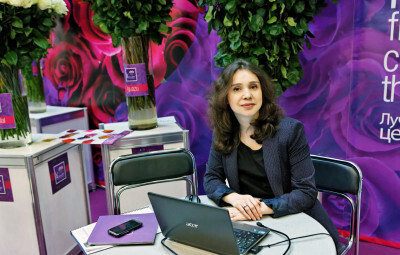 Interpreter – Lana Juroshvili. 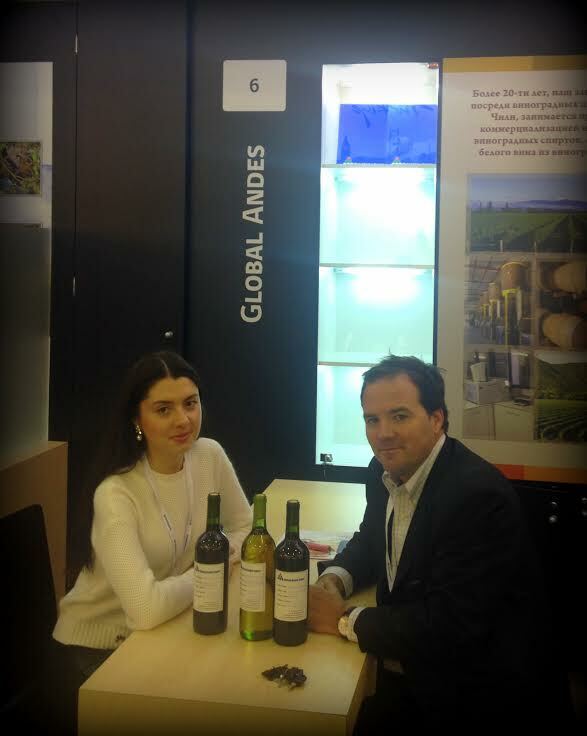 Miguel A. Canovas y José Palau (Andreu World) during the fair Office Next Moscow. 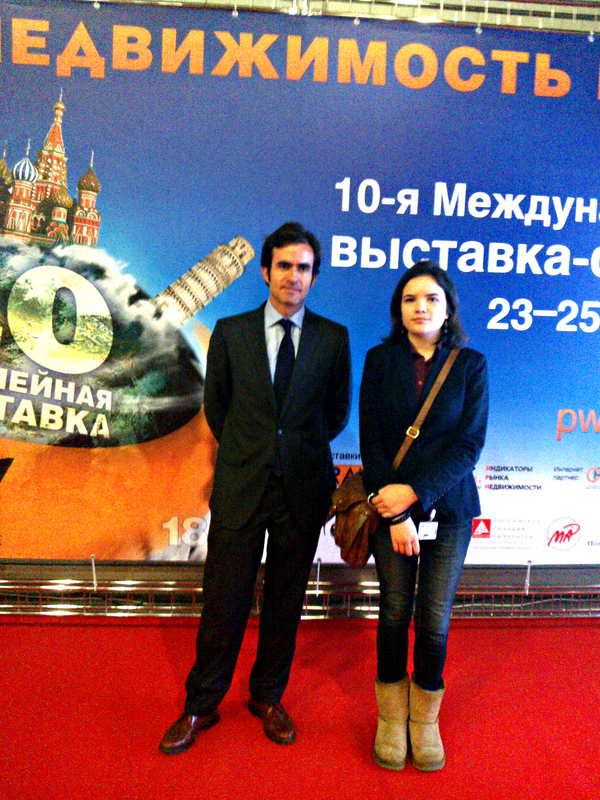 Interpreter from spanish in Moscow M. Sanayants. 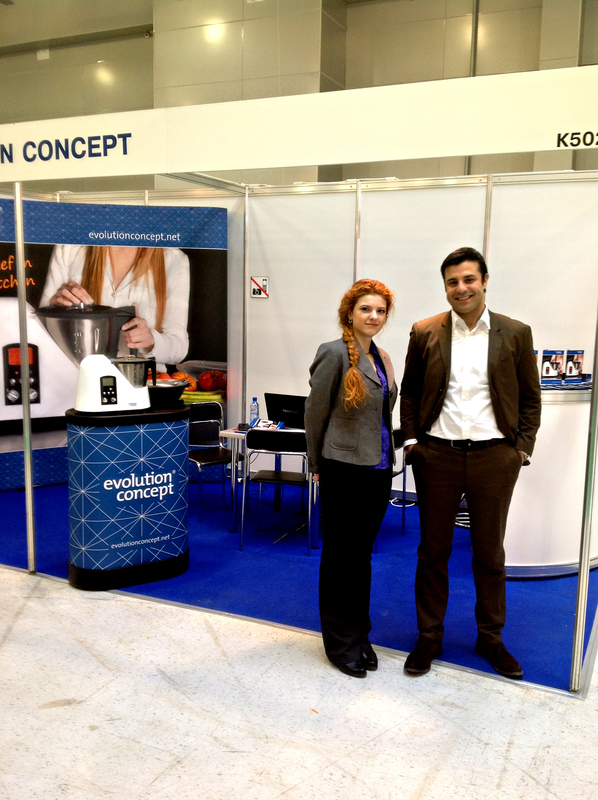 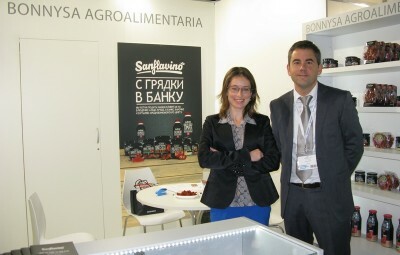 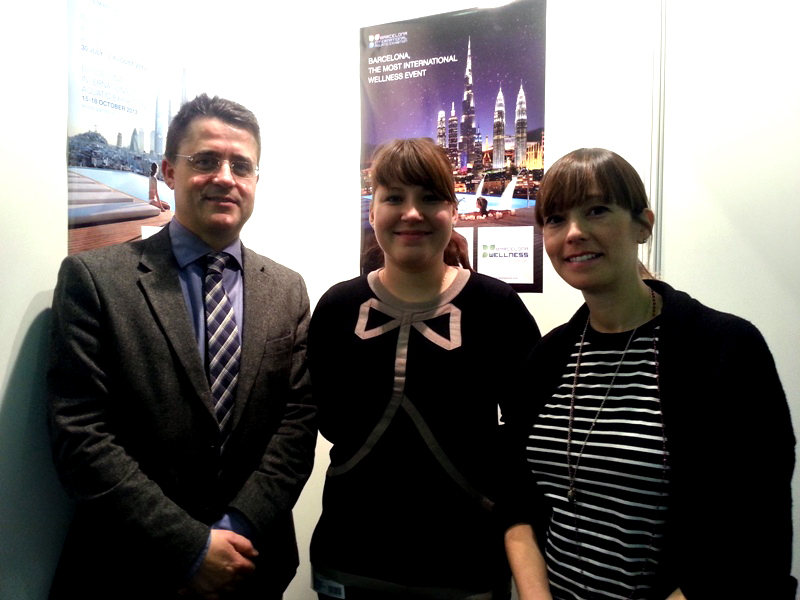 Spanish language interpreter in Moscow A. Ermanok with SANMAR company during CPM fair in Moscow. 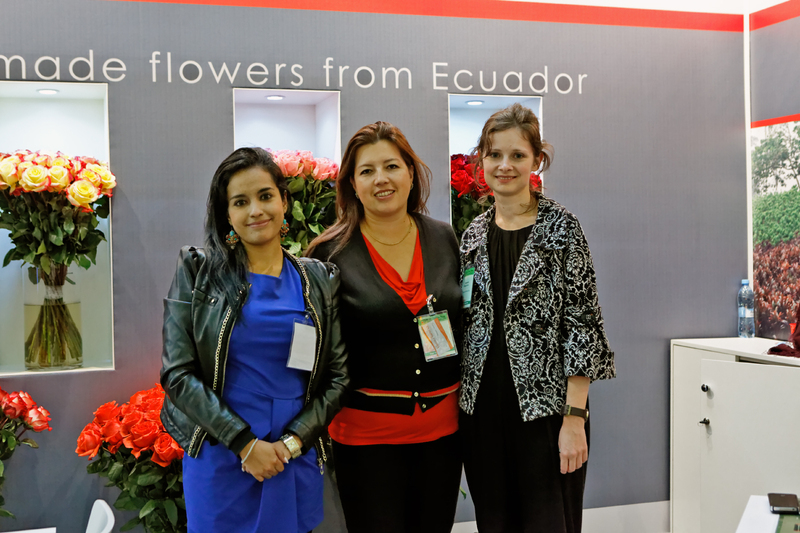 Sofia Gallardo (Flower Village) at the fair Flowers Expo. 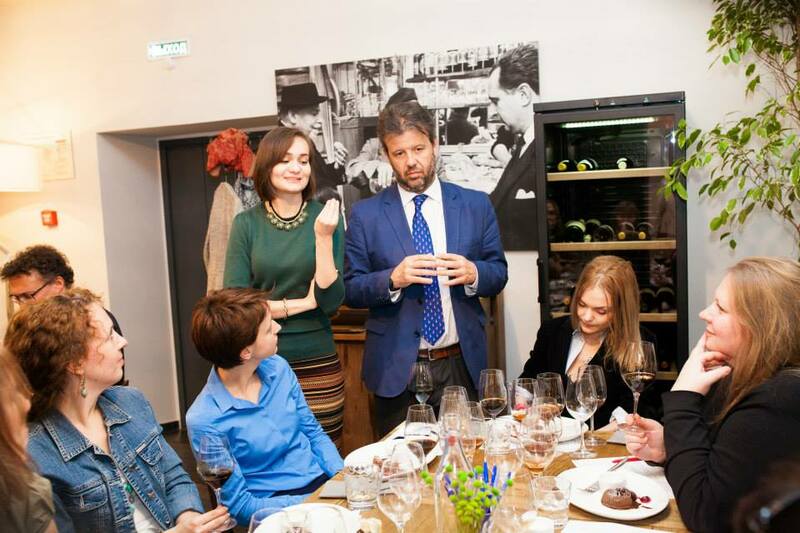 Interpreter – Elena Vákhtina. 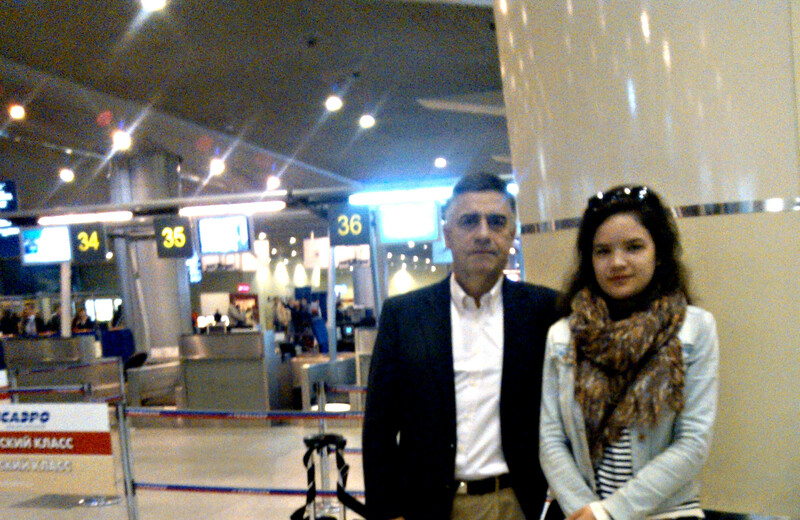 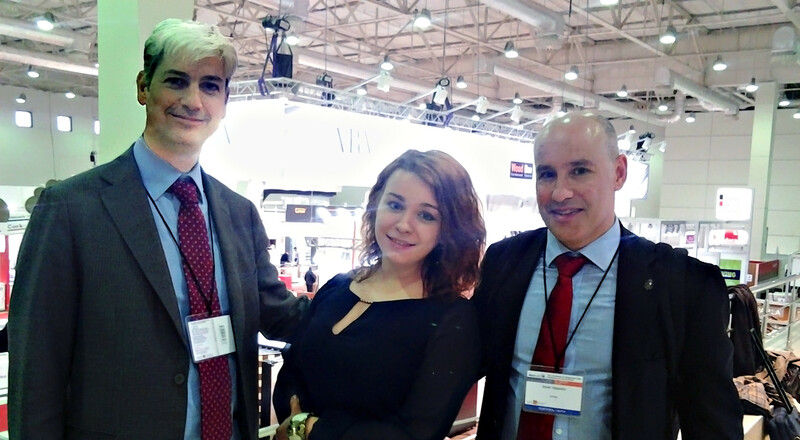 Alexandra Rybina accompanying Pablo Rodriguez Losada and Alejandro Banet (Intasa) during their visit to Moscow. 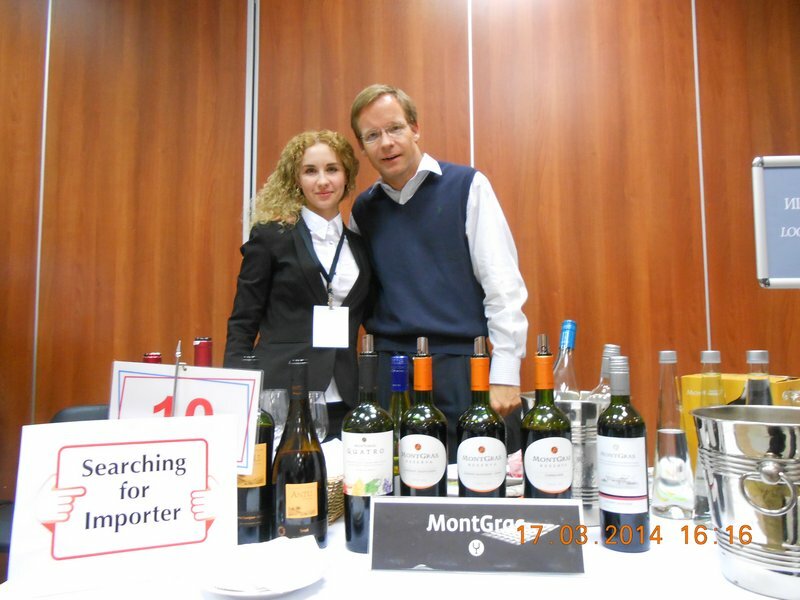 Spanish language interpreter in Moscow L. Juroshvili during Chile vines Salon in Moscow. 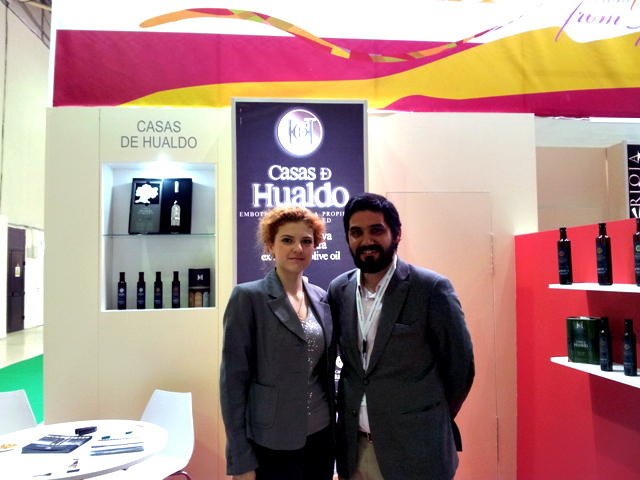 El Sr. David de la Vega Camacho, (“Grupo Angel Camacho S.L.”) at the fair Prodexpo.Interpreter – P. Mójova. 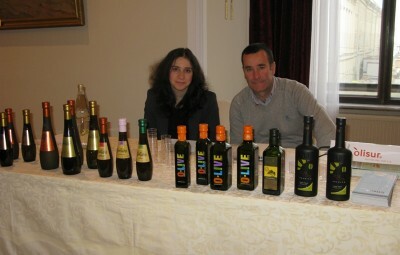 CASADONOSO (Aceite Senzo) during the Chile Olive oil salon in Moscow. 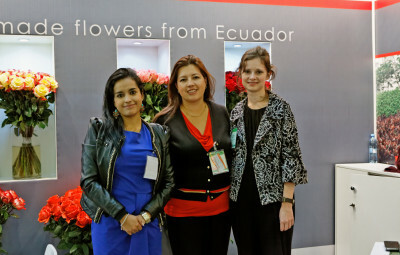 Interpreter from spanish – E. Desyatova. 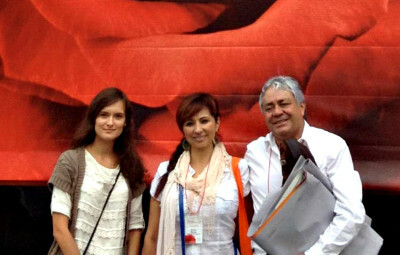 Сhilean actress of the theatre and cinema Catalina Saavedra – a member of the Jury of the 32 Moscow International Film Festival. 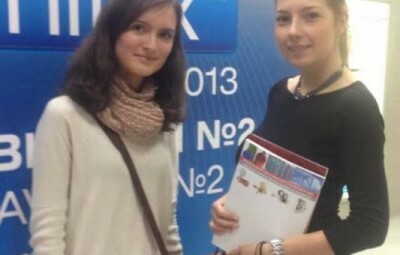 Interpreter – Anna Ermanok. 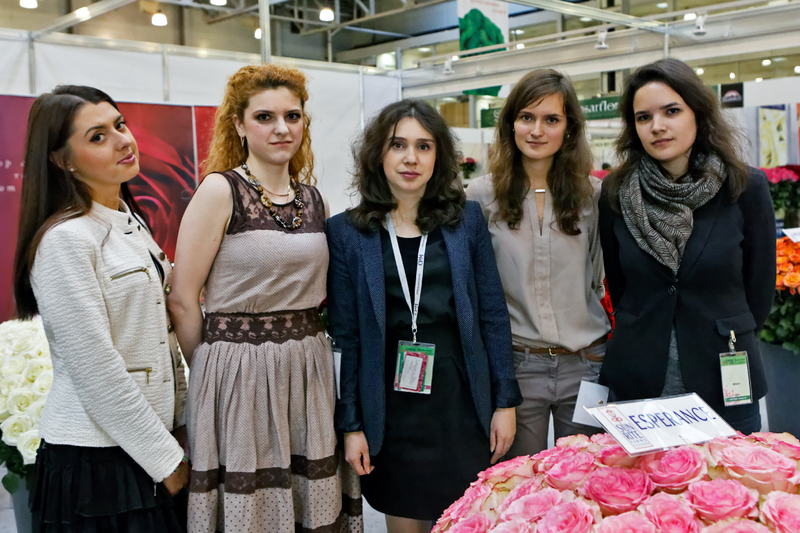 E. Vákhtina, A. Ermanok, M. Maria Antonyan, Margarita Savchenkova during the fair World Food. 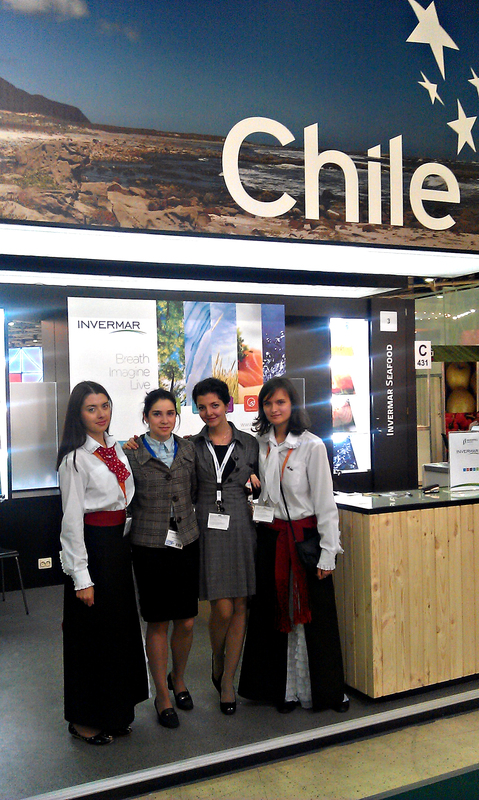 Official pavillion of Chile. 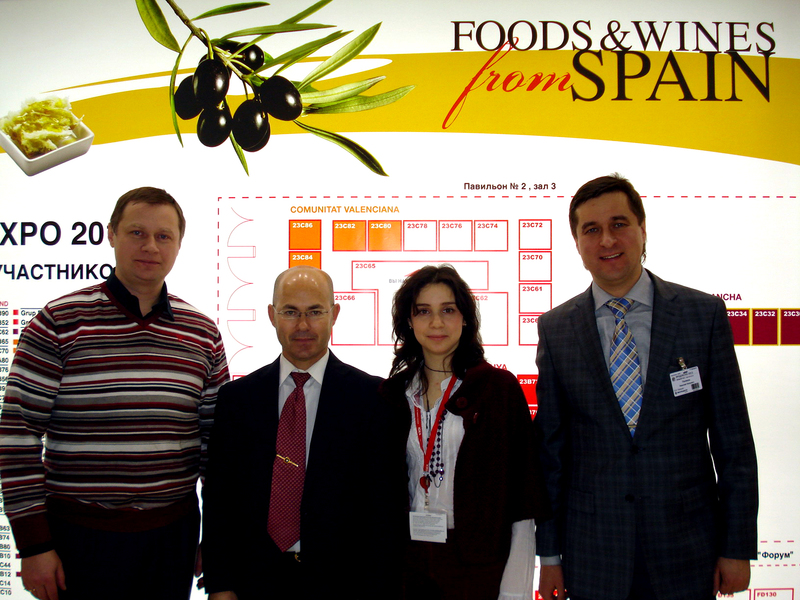 Interpreters A. Konurbaeva, A. Ermanok with the olive oil producers during the Chile Olive oil salon in Moscow. 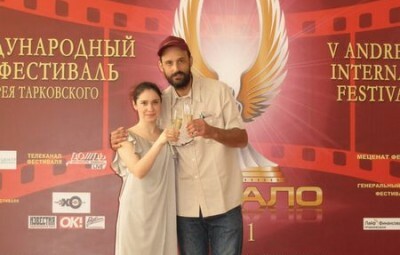 Press conference of the film “The kids from the port” during the 35th Moscow International Film Festival. 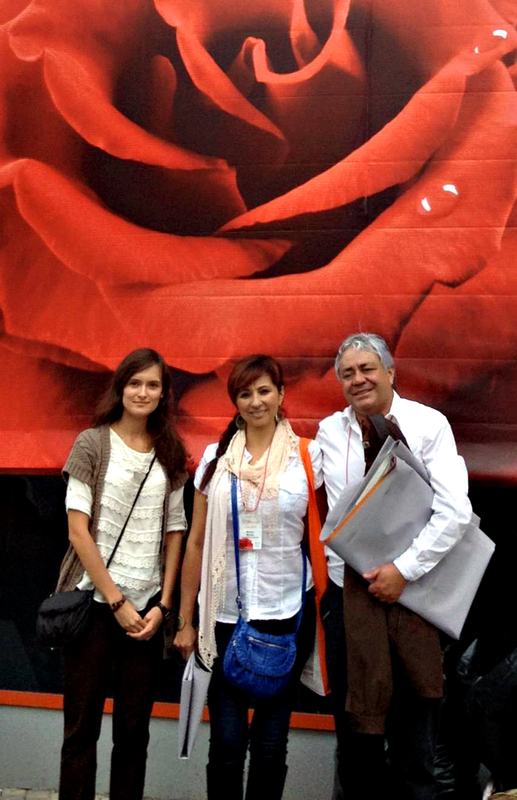 Director A. Morais, producer V. García, actor O. Krim. 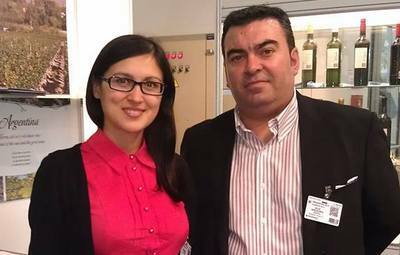 Interpreter – A. Ermanok. Galagar company during the MITEX fair in Moscow. 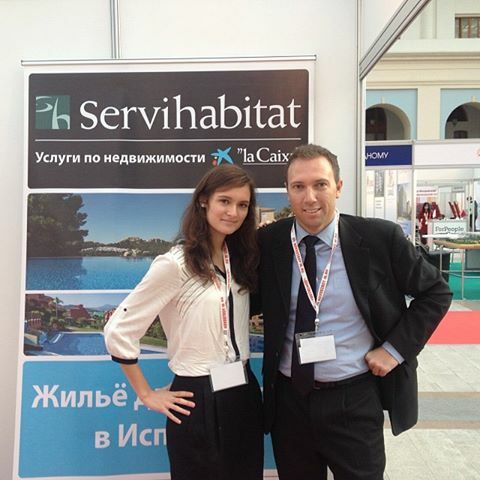 Interpreter – M. Savchenkova. 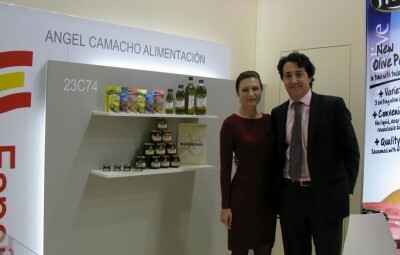 Cristina Belousova accompanying S. Coret Badía (Valencia Shopping) during the MITT Fair. 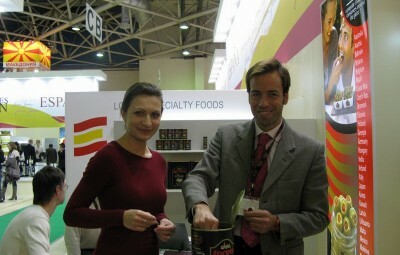 Russian-Spanish interpreter A. Tsarkova accompanying a representative of MontGras company. 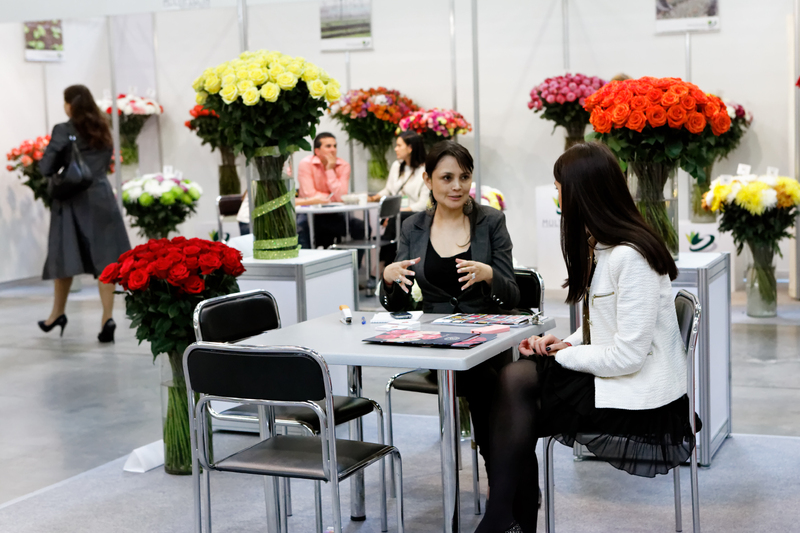 Chile vines Salon. 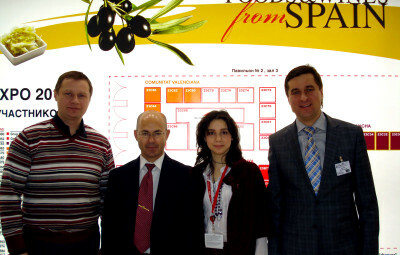 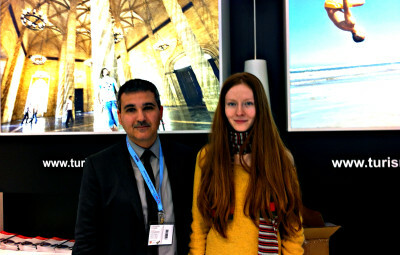 Miguel López visiting the fair Property Worldwide (Moscow, Crocus Expo). 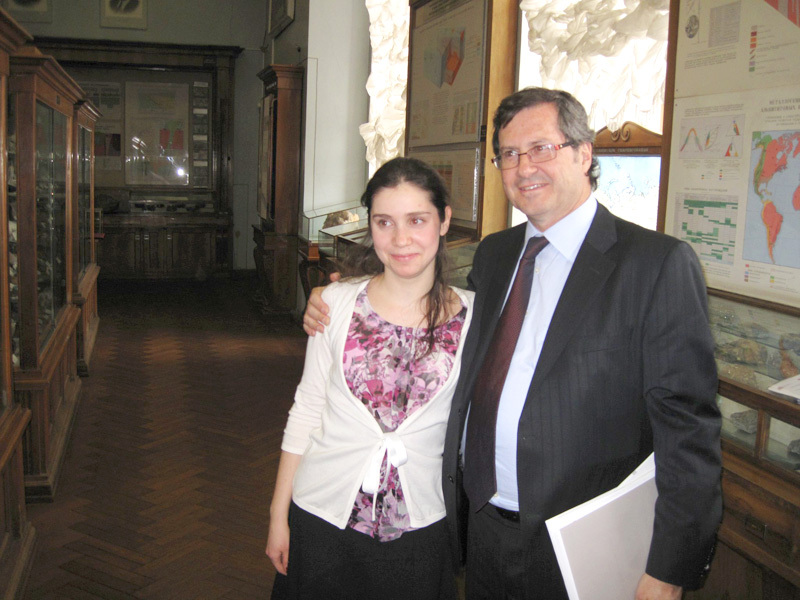 Interpreter – E. Mamina. 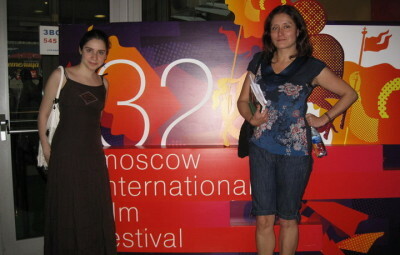 Catalina Saavedra and members of the international Jury ot the 32 Moscow International Film Festival. 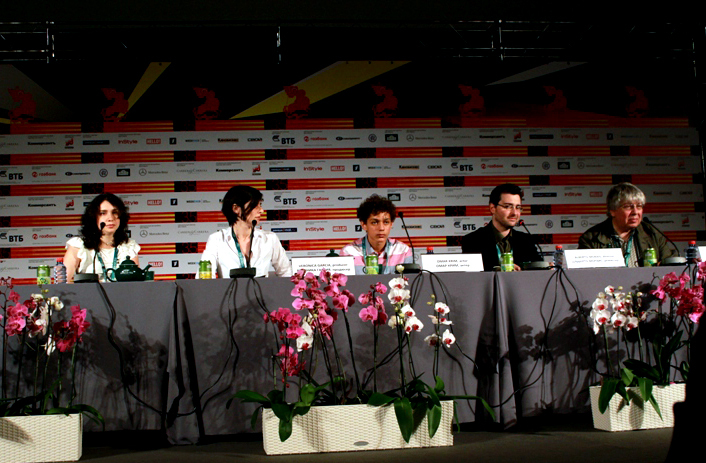 Press conference. 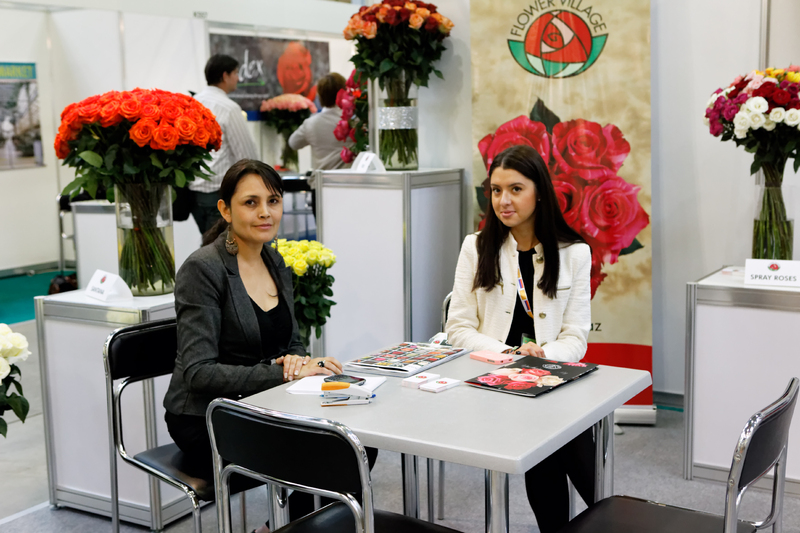 Interpreter – A. Ermanok. 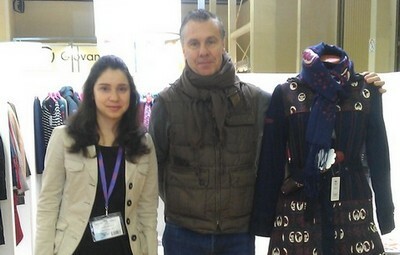 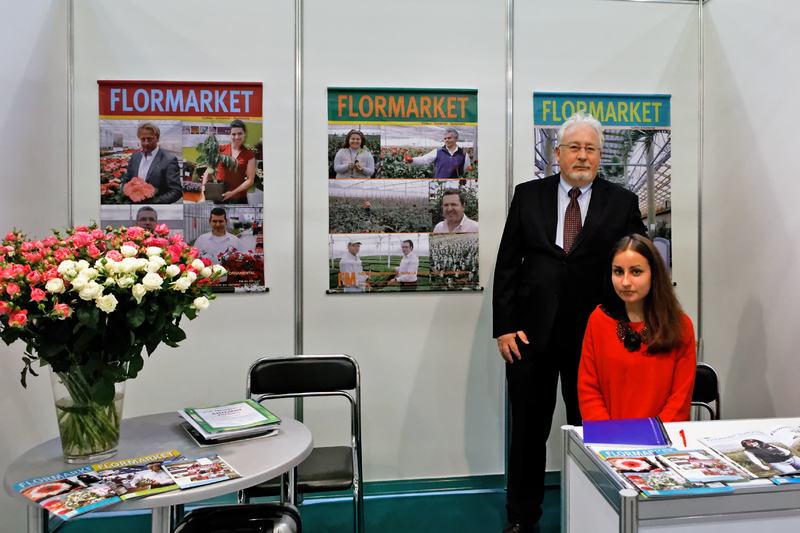 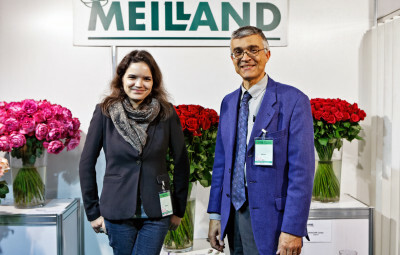 Cristian Vos (Verdimedia S. L.) with interpreter M. Ageeva during the fair Flowers Expo. 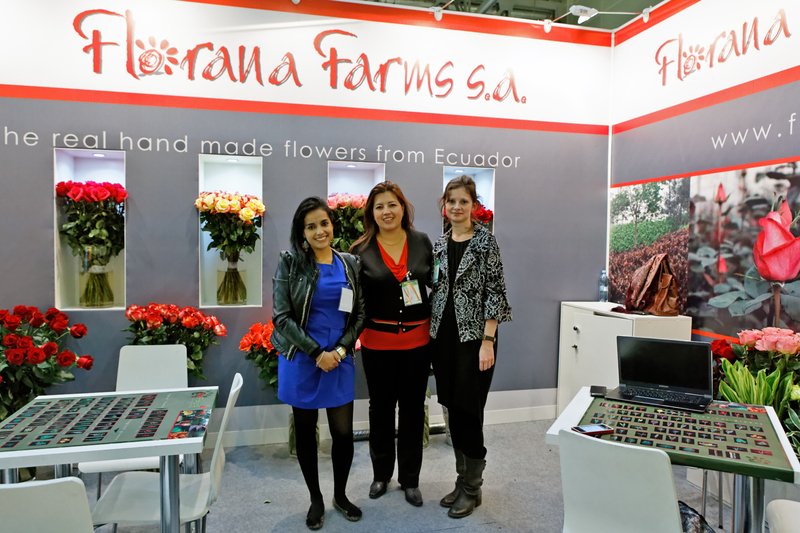 A. Arboleda (Florana farms) with interpreters A. Babaitseva and H. Alzate during the fair Flowers Expo. 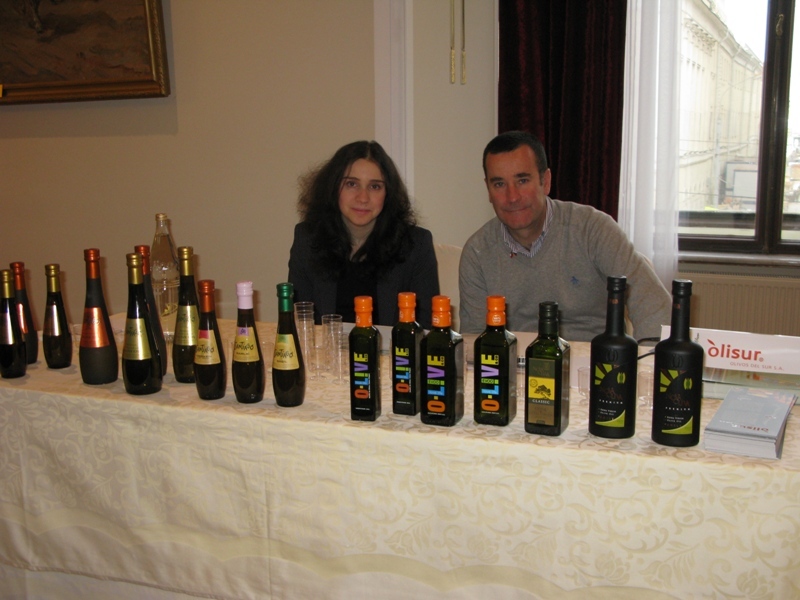 Olivos del Sur (Olisur) during the Chile Olive oil salon in Moscow. 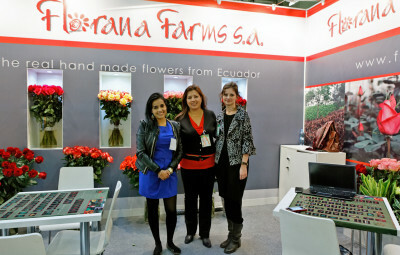 Interpreter from spanish – Anna Ermanok. Bruno Etavard (Meilland) at the fair Flowers Expo. Interpreter – Ekaterina Mámina. 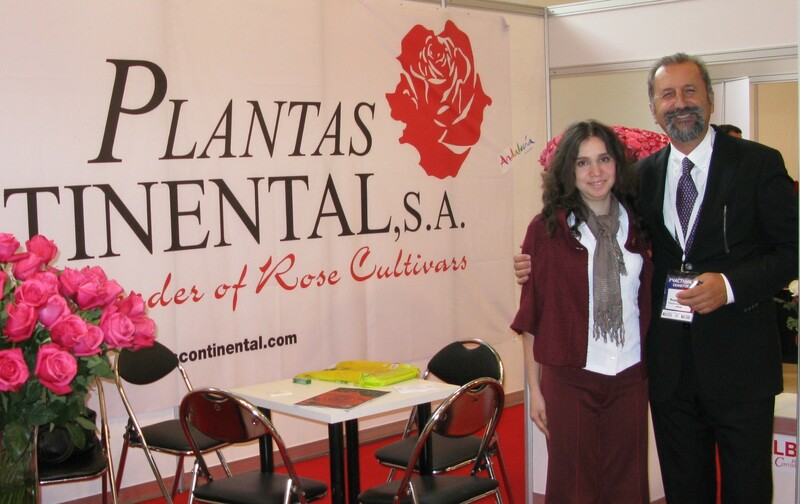 Anna Ermanok,the head of the project Intérpretes en Moscú during the fair Flowers Expo. 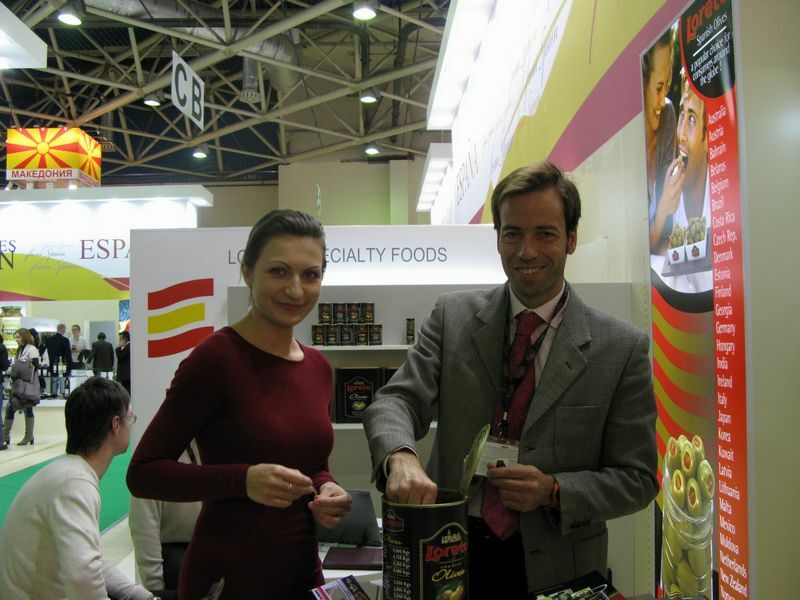 Manuel Curado (Los Curados) during the fair Prodexpo in Moscow. 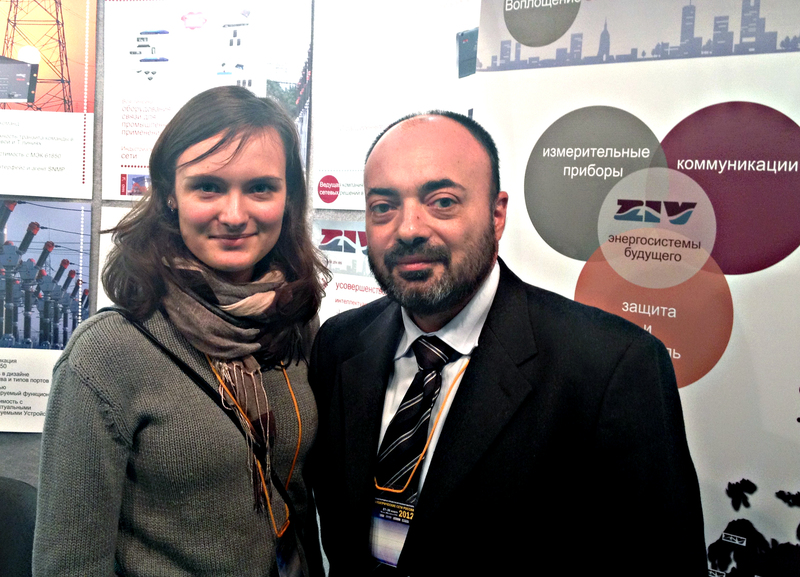 Interpreter – A. Ermanok. 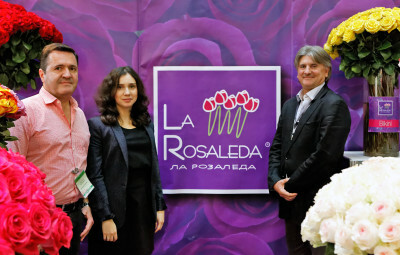 P. Martínez (Bonnysa Agroalimentaria) during the fair Prodexpo in Moscow. 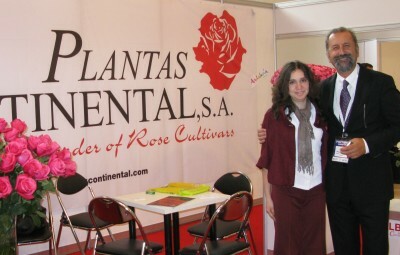 Interpreter – E. Desyatova. 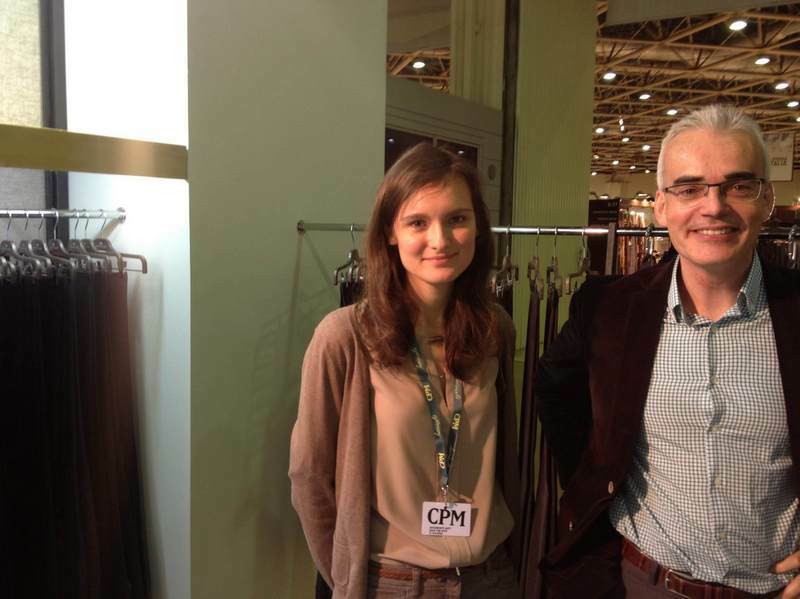 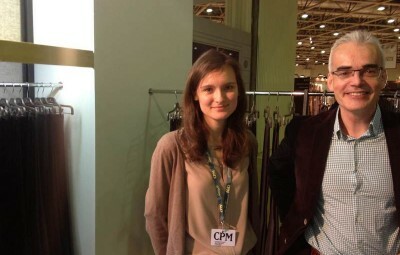 Textiles Montecid during CPM fair in Moscow. 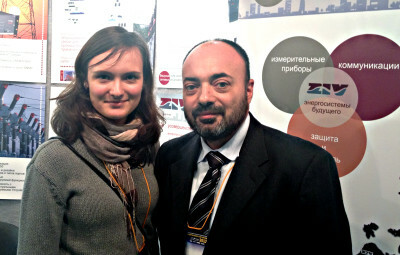 Interpreter – A. Ermanok. 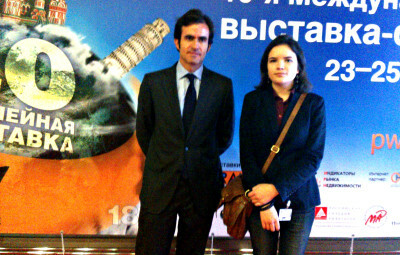 The vice-minister of the Education of Spain at the excursion at the Moscow State University. 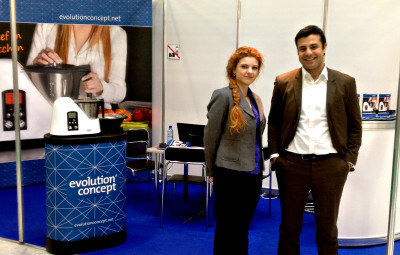 Interpreter — Anna Ermanok. 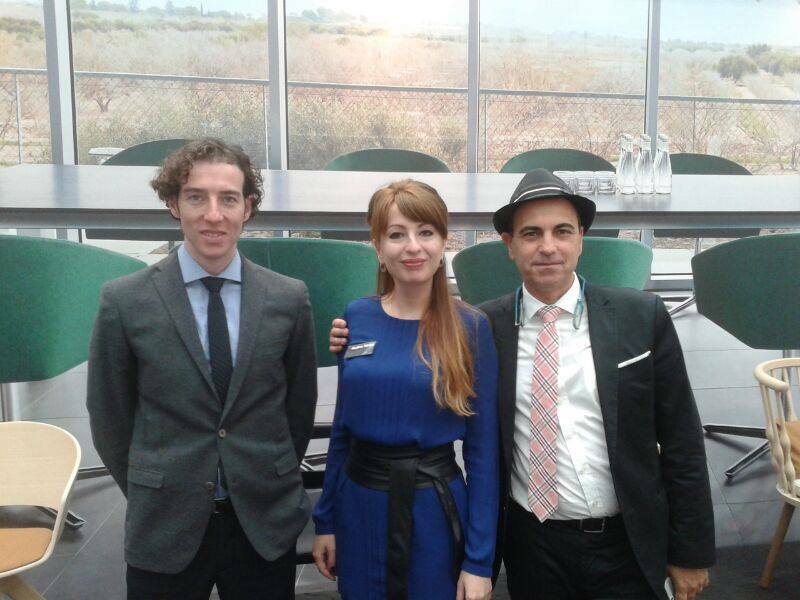 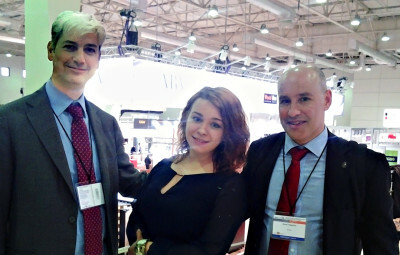 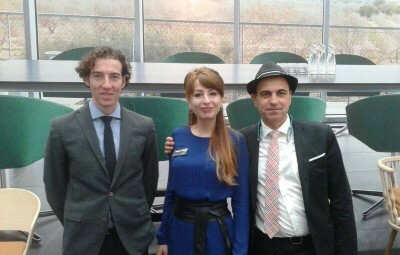 Spanish language interpreter M. Sávchenkova with Miguel Angel Bustos y Felix Bustos (Leandro Bustos) during the international fair CPM in Moscow. 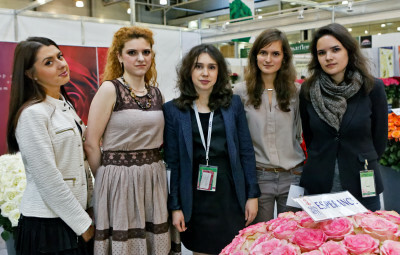 Interpreters O. Lavrinaytis, F. Ruzikolova, A. Babaitseva, A. Ermanok, M. Sávchenkova, L. Juroshvili, E. Vákhtina, M. Ageeva during the fair Flowers Expo. 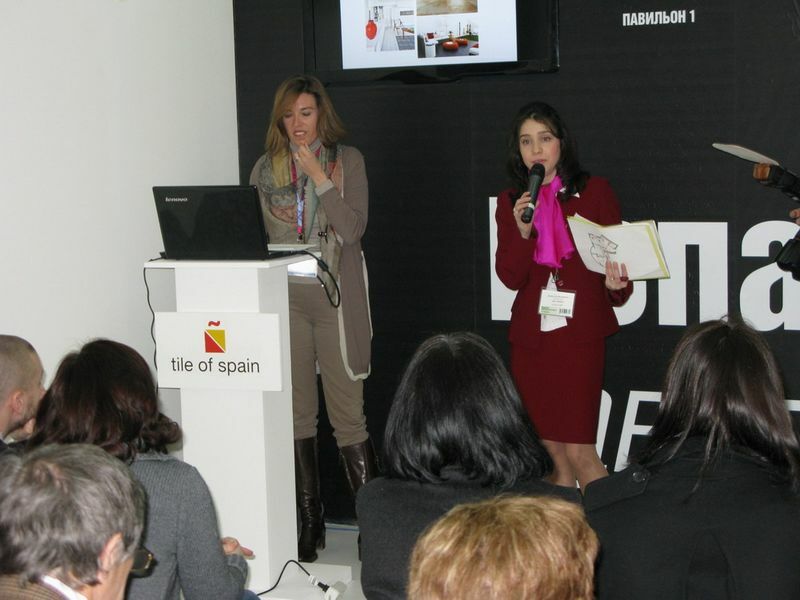 The report of Spanish Association of the Manufacturers of Ceramics during the Mosbuild Fair. 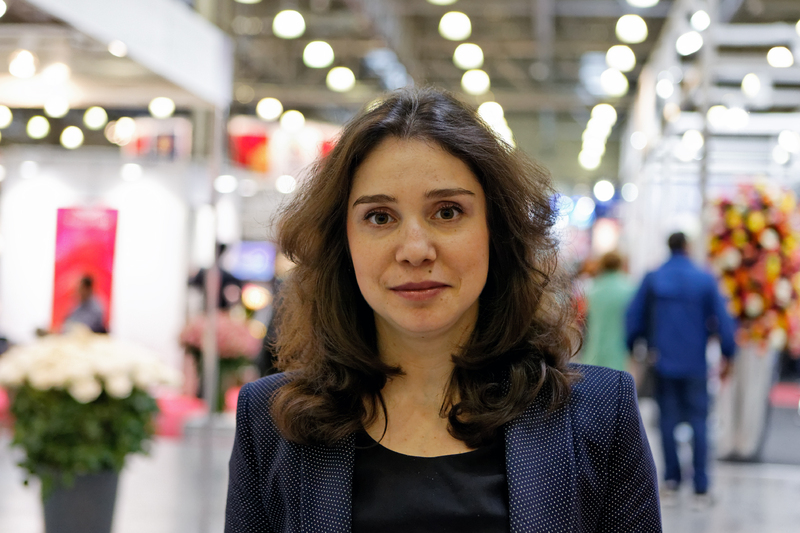 Interpreter – Anna Ermanok. 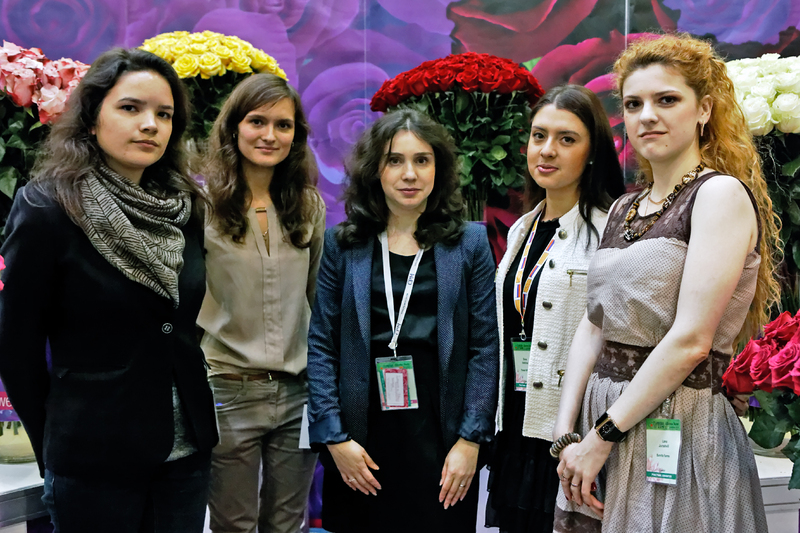 Interpreters E. Mámina, M. Savchenkova, A. Ermanok, E. Vákhtina,L. 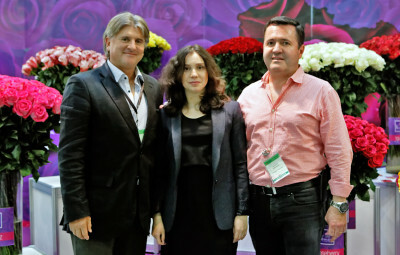 Juroshvili at the fair Flowers Expo Moscow. 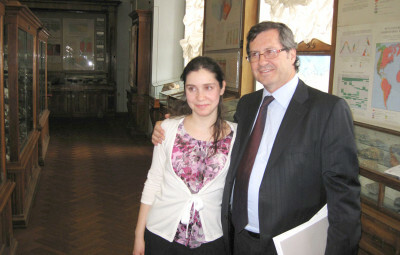 M. Sávchenkova. 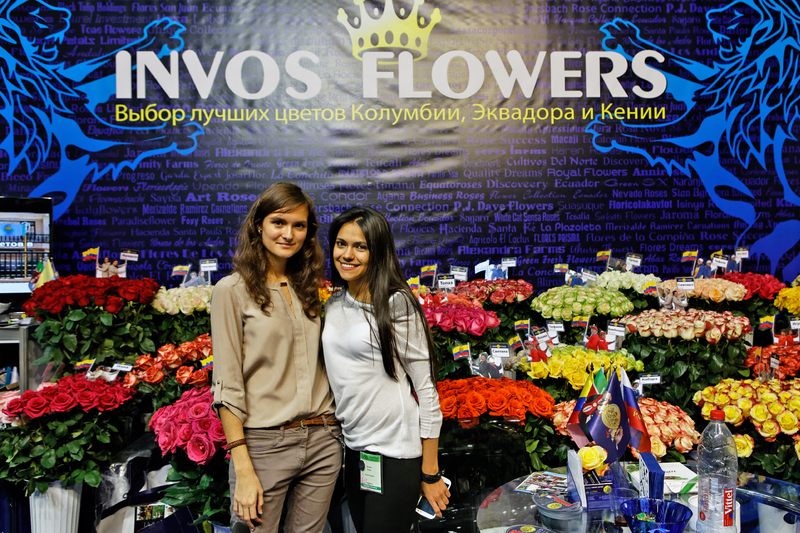 Invos Flowers during the fair Flowers Expo. 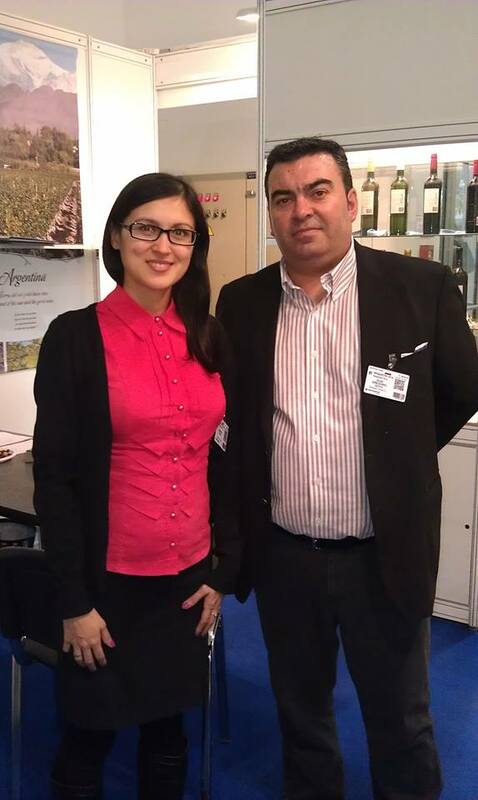 Interpreter russian to spanish in Moscow A. Konurbaeva with Carlos Gonzáles-Gordon (Gonzalez Byass) during the vine degustation in Moscow. 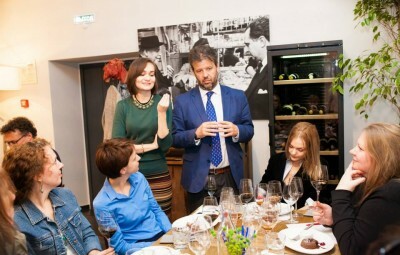 Interpreters E. Vákhtina,L. 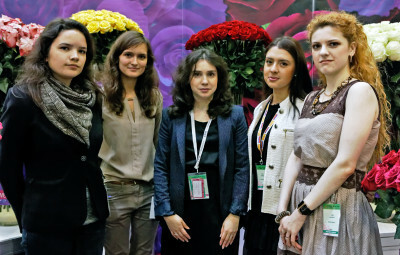 Juroshvili, A. Ermanok, M. Savchenkova, E. Mámina at the fair Flowers Expo Moscow. 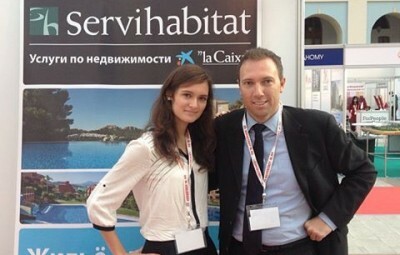 Russian-Spanish interpreter in Moscow M. Savchenkova during the MITT fair in Moscow. 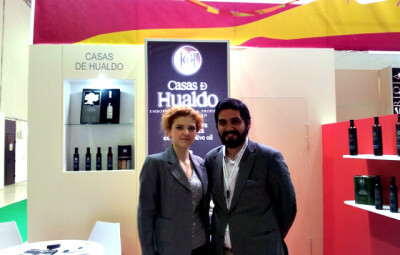 Carlos Navasmigueloa Rodríguez (Casas de Hualdo) during the fair Prodexpo Moscow. Interpreter – Lana Juroshvili. 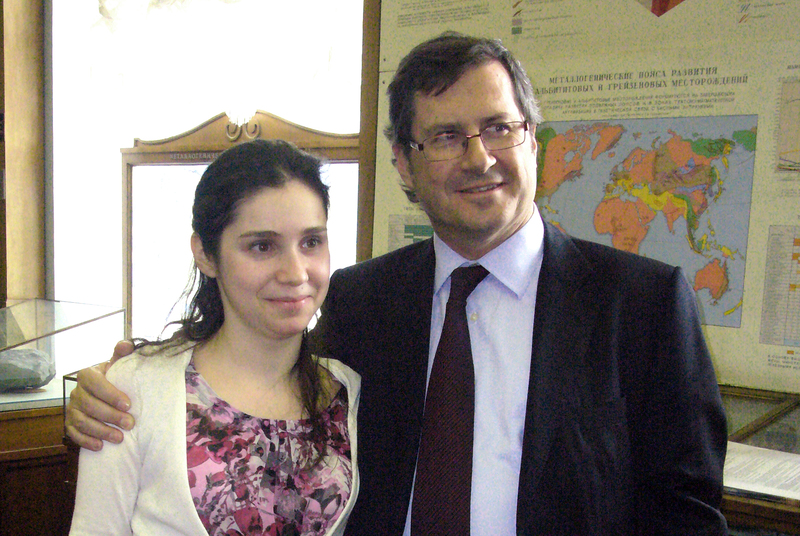 Russian-Spanish translator J. Akovantseva accompanying Jorge Barros, 7 Colores (Lourdes). 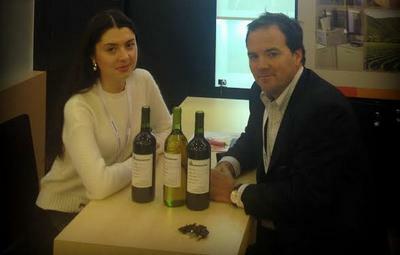 Chile vines Salon. 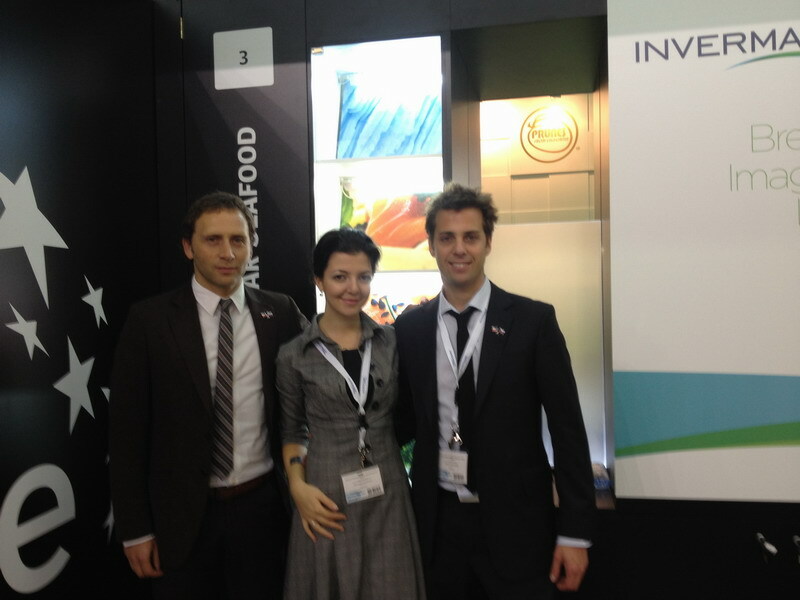 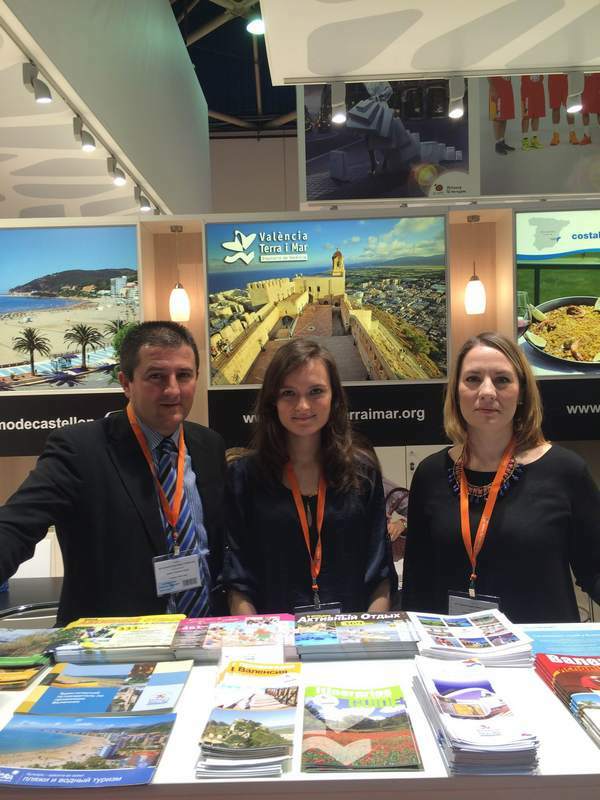 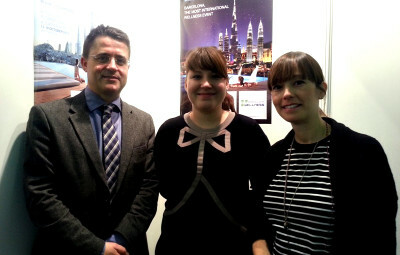 N.Guskova with the representantives of Fira Barcelona during the fair Piscina Moscow.